SpringAhead build accounting software for small and mid-size businesses. 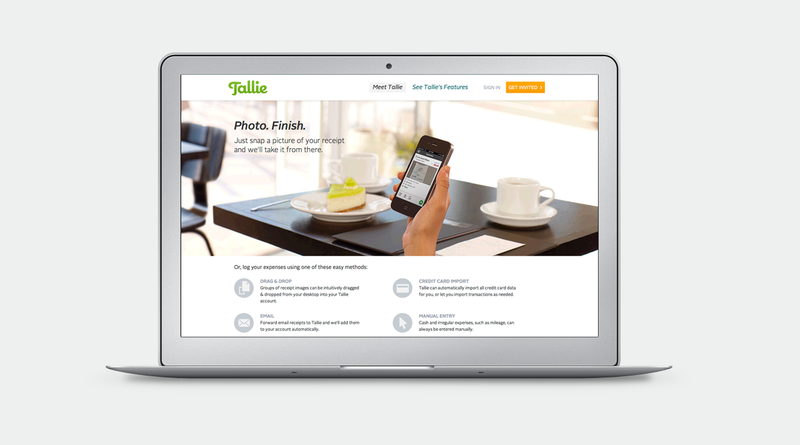 Tallie is their innovative expense reporting app that lets you capture expenses on the go. Just snap a photo of your receipt and it’s automatically scanned, tagged, and uploaded, ready to be submitted for reimbursement. To support the product launch, SpringAhead needed a website that would communicate the experience of using the new app. While the app was still in development, we helped refine the product messaging, developed concepts and content strategy for the website, and designed information graphics to help explain the features. Tallie lets users view their expense reports three ways: by date, as a ledger, and as thumbnails of the receipts. Together with Roger Hostetler Photography we captured these three views in appropriate environments. The calendar view works well for road warriors and is therefore shown in a hotel lobby, the ledger view is preferred by accountants and is shown in a small office setting, and the more visual thumbnail view is shown in a creative design studio. From our competitive review, we knew the features and functions that differentiated Tallie. We worked with SpringAhead to clarify and define these features from the customer’s perspective. 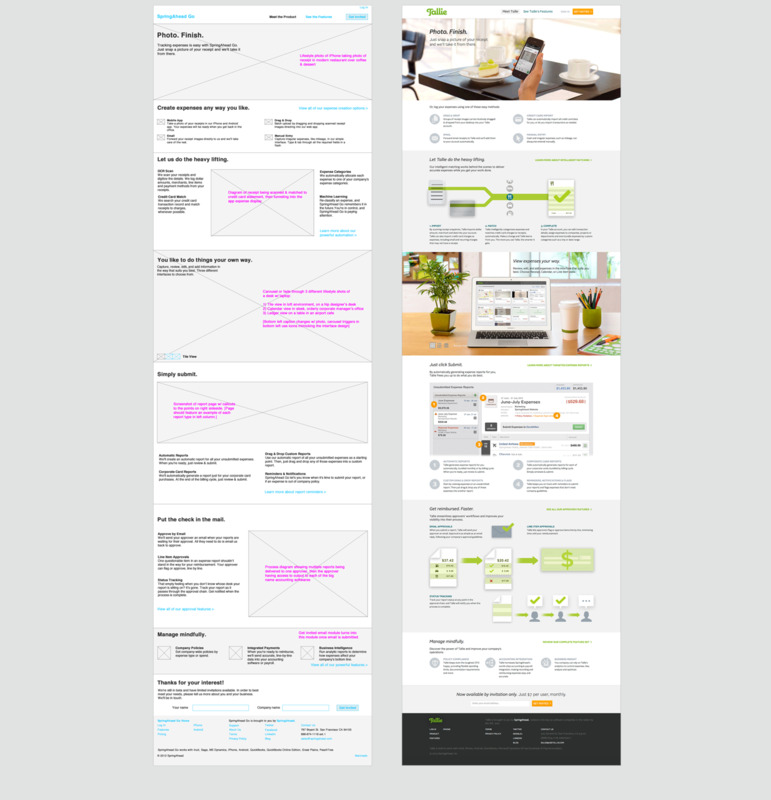 The results were captured as detailed wireframes which included initial messaging and copy. 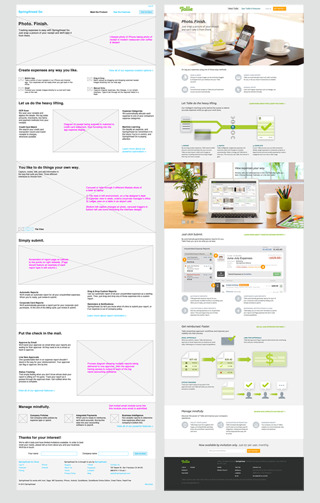 As part of the visual design process, we developed diagrams and icons to further explain the features.